Students always have the option to resubmit their Canvas assignments. As an instructor, you can decide how to handle assignment resubmissions. 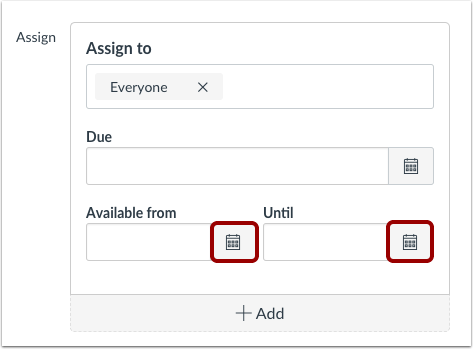 You do have the option to set availability dates for each assignment. Availability dates can restrict the dates that an assignment can be submitted. 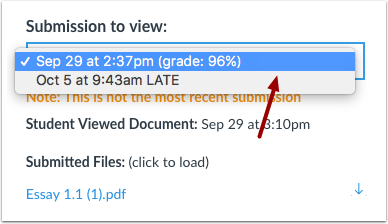 All assignment submissions can be viewed in SpeedGrader. Students will not be able to view their previous submissions after resubmitting unless you reupload the assignments to Canvas. Note: The option to resubmit an assignment may not be available for external tool assignments. Students will see a Re-submit Assignment link in the Sidebar below the Assignment submission details. Open the student's Assignment in SpeedGrader. When a student has submitted multiple submissions, you can view them by clicking the drop-down button. Select the submission you'd like to view. If you view an older submission, Canvas will warn you that the submission you are viewing is not the most recent version. If you have already graded an assignment that a student has resubmitted, you have the option of using the same grade for the resubmission without doing any additional work. To apply the same grade to the new assignment, click the Use this same grade for the resubmission link. If you want to keep students from resubmitting assignments after a certain date, you can change the Assignment availability dates. Next to the date you want to change, choose the Calendar icon. 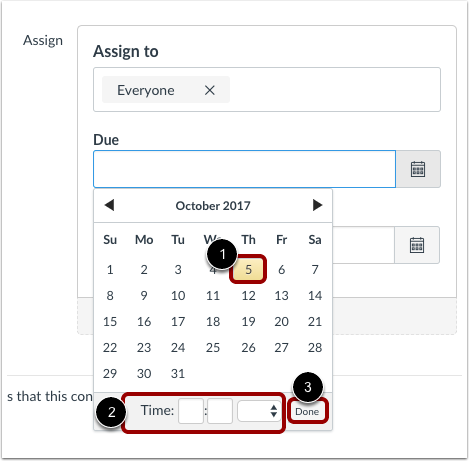 Set the date and time the assignment availability date by selecting a date  and time . Click the Done button . Previous Topic:How do I add a grading scheme to an assignment? Next Topic:How do I download all student submissions for an assignment? Table of Contents > Assignments > Can a student resubmit Canvas assignments? Re: How do students submit a draft for an assignment and is it worthwhile?